You don’t want to piss off a chicken in Odyssey. They are small, aggressive, and they attack for seemingly no reason. Unlike a lion, which is an apex predator, a chicken is a tiny domesticated creature that has no business attacking well-armoured mercenaries. They will, though. 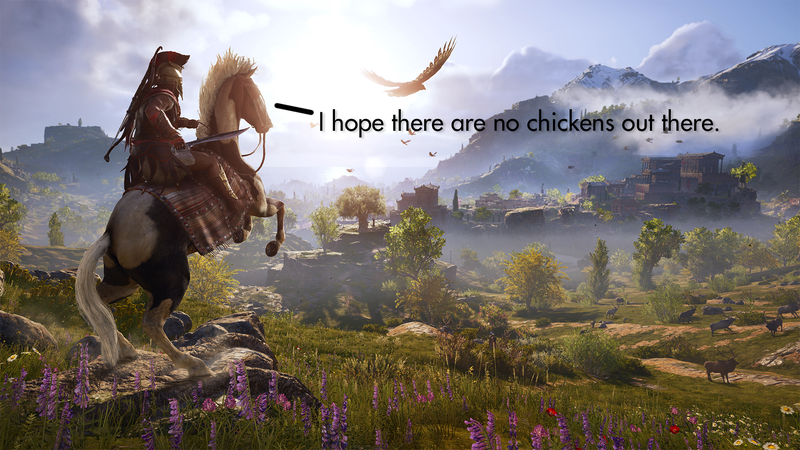 There might be some secret to the violence of chickens in Odyssey, or it might be the case that someone at Ubisoft is just all about realism when it comes to animal behaviour.